STRETCHING culture celebrations from a day to a week was a noble move but now stakeholders feel that the seven days are insufficient. Art and culture lovers have already circled May 16 – 23 as these are the dates for this year’s culture week. But for some, seven days out of the 365 in the calendar year, are not enough to conscientise and celebrate our local diversity especially in the midst of the global storm that enforces a pop-culture led by the Americans and other Western nations. In 2002 the National Arts Council of Zimbabwe (NACZ) made the World Culture Day weeklong celebrations after noting that a day was too short a time to make a meaningful impact on people. In a press statement the NACZ acknowledged that the time was not sufficient for the country which is endowed with a multiplicity of cultures and thus must revel in the 2015 celebrations by going beyond the regular showcasing. The official launch that heralds the commencement of the Culture Week will be held on May 16 in Mashonaland West, at Chinhoyi Stadium. The week-long celebrations will run under the theme,“Celebrating Arts and Cultural Entrepreneurship”. However, stakeholders are of the opinion that a week is not sufficient to fully celebrate the various cultures in the country. Culturally Africa is yet to fully recover from the looted art and development caused by slavery and colonialism hence the need to have more days in the year when people deliberately and consciously celebrate the various cultures that define and make us who we are. Currently the constitution of Zimbabwe recognises 16 official languages which can be used as a medium of instruction in schools. But very few people, who do not speak these languages, are conversant in them yet local children are deemed ‘modern’ and ‘progressive’ when they read European folktales made popular by the Grimm Brothers like Cinderella, Snow White and Sleeping Beauty while neglecting their own. “Mirror mirror on the wall, who is the fairest of them all,” is a popular and famous line from the Grimm brothers’ fairytale Snow White recited by children who do not even know a single tale in their mother tongues. So dominant has been Western culture that children are taught and believe that beauty is white, pale and fair. These are the effects of globalisation where another culture becomes dominant and slowly wipes away the aesthetics of a people’s way of life. Currently in America and Europe a big or modest derriere (bottom) is trending with stars like Niki Minaj and white Australian Iggy Azalea redefining what beauty is to the world but it has always been part of the African culture for centuries and was mocked by the West, until now. In the 1980s a growing number of countries were concerned that the increase of trade agreements promoting absolute market liberalisation dramatically increased the threat to cultural industries and countries wishing to retain their right to enforce cultural policies risked being marginalized and unable to maintain their position. The Universal Declaration on Cultural Diversity by UNESCO in 2001 proclaimed May 21 of each year the World Day of Cultural Diversity for Dialogue and Development. The week long culture celebrations will see museums and galleries worldwide commemorate the International Museum Day on May 18. 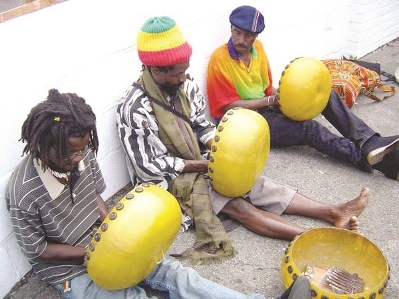 NACZ officials in a press statement said the theme “Celebrating Arts and Cultural Entrepreneurship” is a call for Zimbabweans in general and artists in particular to regard the culture sector as having immense potential to contribute to livelihoods and the national income. “The brand strength of the Zimbabwean arts needs to be improved to enhance global market competitiveness,” the press statement said.